Last weekend, the first submarine cable from the Borssele Alpha transformer platform landed on the Dutch coast, marking a significant progress in connecting the Borssele offshore wind farm area in the southwest part of the Dutch North Sea to the onshore high-voltage grid of TSCNET shareholder TenneT. 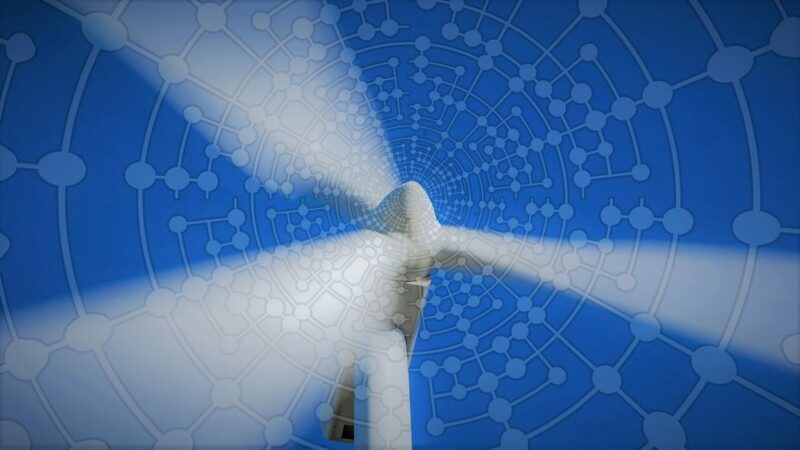 The Borssele grid connection is the first large-scale project of the Dutch-German transmission system operator (TSO) carried out under the Dutch National Energy Agreement for offshore wind farms. The last section of the cable laying was quite critical due to the crossing of a ferry route, but during the closure of the shipping traffic everything went according to plan. After the landing of the submarine cable, its installation was continued ashore up to the newly constructed onshore transformer substation. In the coming weeks preparations will be made to connect the second submarine cable for the Borssele Alpha project to the transformer station. 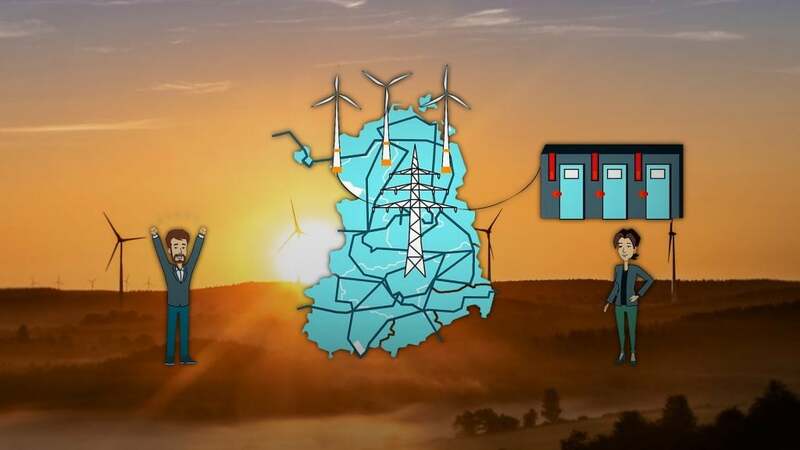 Among the four German transmission system operators (TSOs), 50Hertz is mainly responsible for the onshore connection of wind farms in the German Baltic Sea. The Ostwind 1 project of the TSCNET shareholder for connecting the Arkona and Viking wind farms in the “Westlich Adlergrund” cluster in the Baltic Sea near the island of Rügen to the onshore grid has now been finalised – after a construction period of three years and on time for the commissioning of the two wind farms. With a total investment volume of around €1.3bn, the budget was lower than anticipated. Initial operation of Wikinger took place in autumn 2018, and on 16 April 2019, Arkona was also officially commissioned. Not only is Arkona the largest wind farm in the Baltic Sea, supplying the equivalent of around 400,000 households with electricity, but also its onshore connection sets new standards: Ostwind 1 is the first grid connection in the Baltic Sea with 220kV three-phase current technology to allow a higher transmission capacity. The submarine cables of Ostwind 1 end at the Lubmin onshore substation in Mecklenburg-Western Pomerania, where the current is converted to 380kV and fed into the 50Hertz transmission system. The IJmuiden Ver offshore wind farm project in the Dutch sector of the North Sea will be equipped with two onshore connections from 2024 to 2030. TSCNET shareholder TenneT, the Dutch-German transmission system operator (TSO), has announced to link the 6.1GW of the new offshore wind farms to the Dutch high-voltage grid via two 525kV DC cables with a capacity of 2GW – this will be the highest in the world. As a result of the increased capacity, only two instead of six cables will be required, resulting in lower costs, as well as less space requirements and environmental impact. A total of four converter stations are required for the DC transmission, which prevents transport losses: two offshore converter platforms for converting the wind-generated AC into DC and two onshore converters for the reconversion. 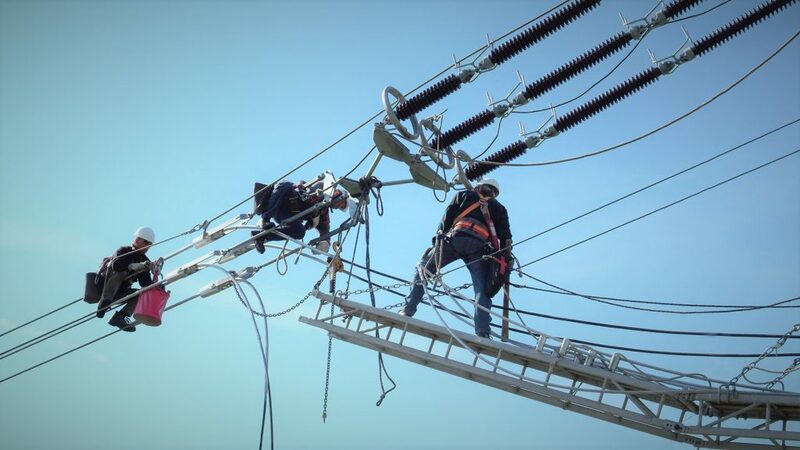 The 2GW connections are possible due to TenneT’s unique experience with HVDC grid connections in Germany, where TenneT will connect offshore wind farms with DC technology on a large scale. The TSO also uses the 525kV high voltage level for NordLink, the new international connection between Germany and Norway, as well as for the German onshore projects SuedLink and SuedOstlink. 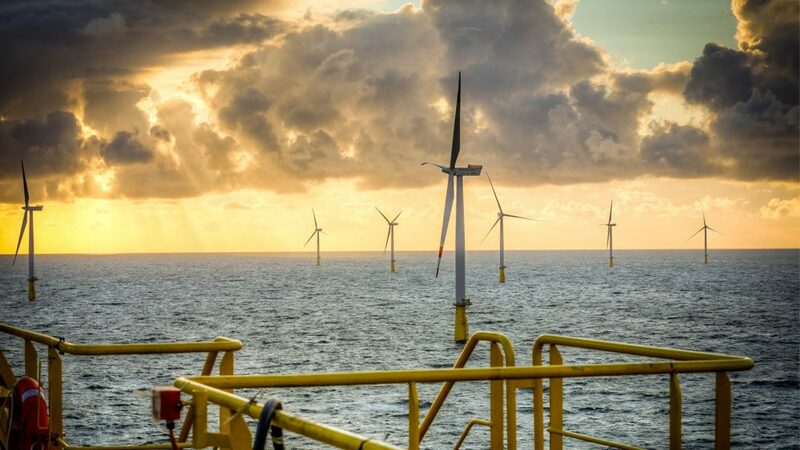 TenneT has ambitious offshore plans, since the TSO has been commissioned by the Dutch government to connect a total of 9.6GW offshore capacity, of which 5.6GW will be realised with AC connections and 4GW with innovative DC connections. Together with the offshore wind farms already in operation, the offshore wind energy capacity is expected to reach 10.6GW in the Netherlands in 2030. Because of the considerable total capacity of IJmuiden Ver, the associated onshore connection is a core component of TenneT’s offshore grid development in the Netherlands. TenneT again achieved a very good financial result in 2018. On an underlying revenue basis of €4.2bn, the TSO invested €2.3bn (2017: €1.8bn) in the energy transition and security of supply, with remarkable success, as grid availability in 2018 was 99.9988% within TenneT’s control area. And apart from the ensured reliability of the current transmission system, TenneT also wants to guarantee security of supply in the future. Since the energy future cannot be realised without inventive concepts, TenneT was and will be very active in innovation research for a flexible and affordable energy system based on solar and wind energy as well as green hydrogen. Several research projects are currently underway with renowned partners from industry and science. Especially in terms of wind energy, TenneT is setting standards by reaching a new milestone in Germany and bringing almost 17TWh of offshore wind energy ashore in 2018. TenneT’s total connection capacity for offshore wind farms grew to 6,232MW. The BorWin3 and DolWin6 projects, which will be completed in 2019 and 2023 respectively, will further increase capacity to more than 8,000MW in Germany, while the development of an offshore grid in the Dutch North Sea is also progressing as planned. 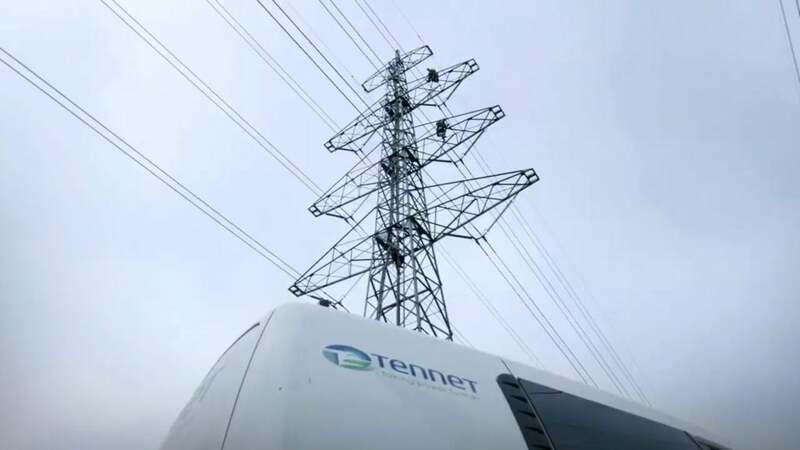 Another important operational objective of TenneT is the further integration of the Northwest European electricity market, which is essential for the success of the European energy targets. One of TenneT’s current projects is the Doetinchem-Wesel link between the Netherlands and Germany, which went into operation in September 2018. 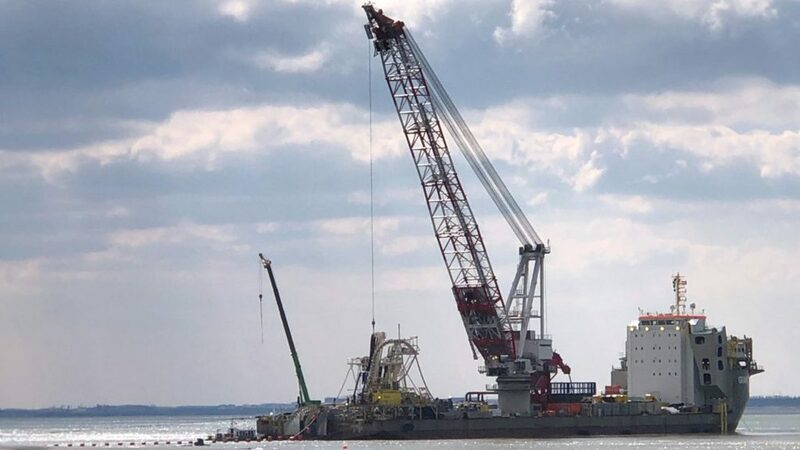 In addition, the COBRAcable subsea connection between the Netherlands and Denmark has “landed” at the Eemshaven connection point and will be commissioned this year. Also worth noting is the NordLink cable connection currently under construction, which will be the first direct link between the German and Norwegian markets. The 624km interconnector is expected to come on stream in 2021. TenneT will then be operating 16 interconnectors in total. While last weekend’s windstorm “Florenz” with its masses of snow posed great challenges to the European Alpine countries – and thus also to the transmission system operators (TSOs) based there – the north German coasts and low mountain ranges were hit by stormy, sometimes heavy gusts. 50Hertz, the north-eastern German TSO, whose control area includes such geographical ranges, reports a welcome side effect of “Florenz”: a new record in wind energy feed-in. On 13 January at 8.45 p.m., the TSO’s grid management for the first time recorded more than 16,000MW in the 50Hertz grid. Thus, the very current record level of New Year’s Day 2019 was even surpassed. At that moment on 13 January, the grid area of 50Hertz could theoretically have been completely supplied with wind energy and there still would have been additional export capacities. “The value has shown us once again that we as a company together with our neighbouring networks and partners are well prepared for such extreme situations. The grid can withstand such loads,” says Andreas John, Head of System Management at 50Hertz. His team at the Transmission Control Centre in Neuenhagen near the German capital of Berlin had the situation well under control any time. In terms of the “wind harvest” in the German control area of TSCNET shareholder TenneT, 2018 has been yet another record-breaking year. The result in 2018 exceeded the previous year’s figure by 4.9 percent. The wind energy transmitted from the North Sea by the Dutch-German transmission system operator (TSO) amounted to 16.75TWh in 2018 – a new record. 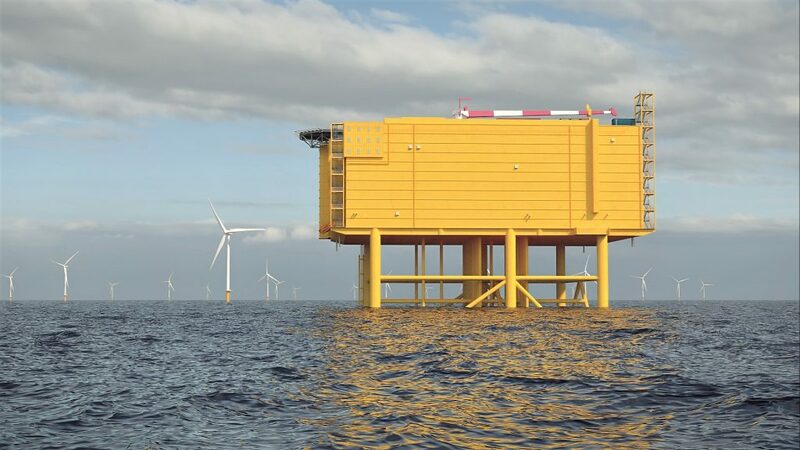 This was made possible by a total transmission capacity of 6,232MW provided by altogether eleven offshore connection systems, which have by now been connected to the onshore grid by TenneT. 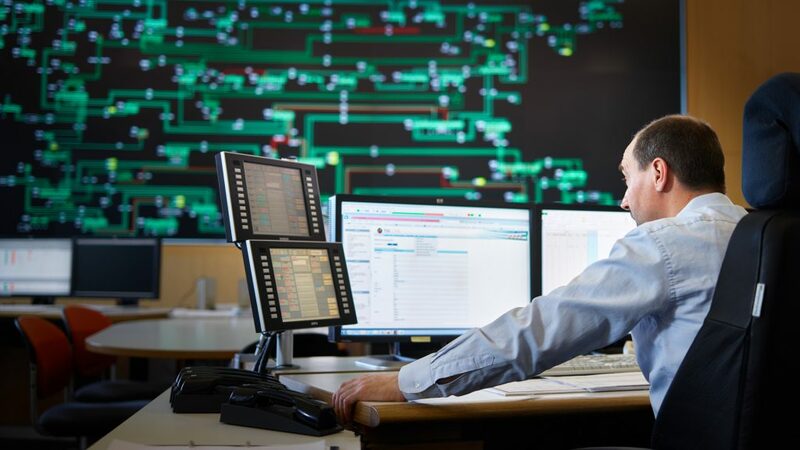 In addition to the company’s infrastructural efforts, TenneT pursues numerous innovative technological approaches. A current example in the offshore sector is the planned 66kV technology, which will be used for the future TenneT offshore connections DolWin5 and BorWin5. 66kV technology can reduce investment and operational costs by millions as it supersedes offshore transformer platforms and significantly reduces the amount of cables required to connect individual turbine systems.